Lutsenko jailed for 4 years – What does that mean for Ukraine? Yuri Lutsenko, former Interior Minister of the Tymoshenko government has now been jailed for 4 years for embezzlement and misuse of office, this despite EU, Council of Europe and other international concern. It immediately invoked critical statements from the UK’s Foreign Minister David Lidington and Baroness Ashton from the EU, to name but a few. Once again there are no claims relating to innocence but concerns over due process and selective application of the laws. Mr Klyev on behalf of Ukraine does make a good point that nobody, even politicians can be above the law, however the EU would not disagree with that. The EU is in fact encouraging Bulgaria, Romania and Croatia to go after ex-politicians for past nefarious actions. One has to suspect the Mr Lutsenko will begin an appeals process in the very near future and we should not forget the possible implications of the new Criminal Procedure Code pending parliamentary vote that I wrote about a few days ago. So, in light of Mr Lutsenko’s jailing and further foreign public statements and concerns, how does that affect Ukraine? Well, quite frankly it doesn’t very much. Yes the chattering classes and human rights critics will be up in arms as further proof of Ukrainian authoritarianism under the current powers that be, but it will certainly not have come as a surprise to the international interlocutors or diplomats. The statements made by them could have been written weeks ago in preparation. Why do I say this? Well, if there is currently no legal framework for the release of Tymoshenko (pending the introduction of the new Criminal Procedures Code), then there is also no legal framework to intervene in the Lutsenko trial and verdict either. As external observers worry about the politicalisation of the judiciary in Ukraine, it is unlikely that the President will jump in and trump the legal system and prove that very point at their behest having made repeated claims that he personally has not had any influence on the process or outcome. We can of course ponder whether he has or has not had any personal involvement, and it suits the politics of Ms Tymoshenko to claim that he has, however we must consider the competing interests and extremely powerful people within the PoR over which the President has very little sway. It is very difficult to believe that anybody in Ukraine could control the powerful such as Akhmetov of Firtash to name but two, or prevent such powerful people exacting revenge on rivals regardless of any wishes of the president. It has to be noted that no foreign diplomat or politician has accused the president personally of retribution, but have rightly called on him as head of state to find a mechanism to appease European sensibilities. Would we really be so very shocked if there were dozens of diplomatic communiques that identify Mr/Mrs X as being behind the instigation of proceedings against Tymoshenko et al, rather than stating it is the personal work of Yanukovych? To be honest I would not be surprised to discover Mr/Mrs X instigated such things without his knowledge, but then I live here and probably have a different perspective to those that do not. I would simply draw to the attention of readers that the media does not always report (or when it does report it is not entirely accurate or full) who has which fingers in what pies in Ukraine. Suffice to say that in a nation where big business and politics are one and the same the web is very intricate. Anyway, further damage caused for Ukraine amongst those within the EU by Lutsenko’s jailing? Not really. Any diplomat and interlocutor worth their salt would have known there was only ever going to be one outcome given that the due process system has yet to be changed to allow for any “mutually acceptable interference” to occur. As I wrote a few days ago, the question is when the new Criminal Procedure Code will pass through parliament and whether it would be right to retrospectively apply it to cases such as those of Tymoshenko and Lutsenko when Pandora’s Box may be the result. We will see if a solution can be found over the coming months no doubt. We are all aware how the naming of children with less conventional names became somewhat normal over the recent years in the western world. Children called Brooklyn or Paris or Battersea Park, because that’s where they were conceived. Or they were named after pop/public/iconic celebrities like Jordan or Romeo or General Sir Anthony Cecil Mogmanay Melchett. Well it seems Ukrainian parents are getting in on the idea. I must admit I find it rather sad as Ukraine is home to some quite beautiful traditional names such as Anastasia and Natasha, Ekaterina, Sophia and Alexandra. They all conjure the idea of exotic intellectualism as well as feminine beauty for me. Andrei, Nikolai, Vladimir and Vladislav all seem particularly masculine. It would be rather a shame to suddenly discover a child called Gorky simply because that is the park where its parents “got it on”, or if the link is accurate, a child called Rapunzel or Rumpelstiltskin, maybe worse Domovoy or Baba Yaga from fairy tales. Maybe I am just too old, somewhat conservative and traditional when it comes to names? Oh well, just thought I would mention it. 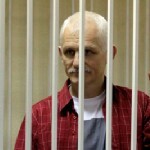 On to more important issues tomorrow where we will look at the jailing of Lutsenko! Are retrospective reviews under the new Ukrainian Criminal Code Procedure a good idea? A few interesting comments were made by President Yanukovych over the weekend during a 2 hour television interview relating to many things, from elections to the current situation Ms Tymoshenko is in. For instance, he stated “From what Europeans say, I agree with the fact that Ukraine’s legislation is imperfect and that the trial of Tymoshenko and others didn’t meet European standards and principles. I absolutely agree with this.” – Well quite right. Nobody within Europe has stated she was innocent, they have complained bitterly that the process was not to European standards. However, every Ukrainian citizen is subjected to the same imperfect trial system which is why the courts are so corrupt. If and when her conviction for misuse of office is ever overturned, that should not be the end of the matter as far as European standards of due process are concerned. Tomorrow, I may face the same imperfect system under some old Soviet law that remains on the statute books and has no place in modern day Ukraine. Credit where credit is due, this government has actually got around to dealing with Ukraine’s 1995 Council of Europe commitments and has produced a Criminal Procedures Code, although it has yet to pass through parliament, it is likely to do so before the summer. In fact the President went on to state “I believe that that we should have all these cases considered again from the point of view of the new Criminal Procedure Code, which will comply with all European standards.” The question is really when parliament will actually get around to looking at the new CPC and voting for it. Once that happens then there is a review, but can and should the introduction of a new code and new laws be applied retrospectively? If Tymoshenko’s case (and other high profile cases) are subjected to a retrospective quashing under the new CPC, why not every other Ukrainian prisoner who has been subjected to the same below European standard due process? Where would it stop, why would it stop and who decides where it stops? To simply apply it only to ex-politicians of all parties (including the party of the President) is not necessarily going to sit well with the Ukrainian public and will open the door to numerous human rights campaigns from NGOs and public alike. In going down that road, will the EU promptly stop asking if Ukrainians have previous convictions when they apply for a Visa? They have all been subjected to the same below European standard of due process after all. If Ukrainian due process is not good enough for Tymoshenko, then it is not good enough for me or anybody else I know. We are, after all, equal before the law (and due process) when it comes to European standards are we not? Don’t misunderstand me here, as historical readers are aware, my position is that Tymsohenko should not be in jail because the due process was not of a high standard. I am also very pleased to see Ukraine finally doing something about the promises it made to the Council of Europe in 1995 and actually generating a CPC that moves closer to European norms. I appreciate that the new CPC is a possible tool to allow for Tymoshenko to appeal if applied retrospectively, however with retrospective application, there is a Pandora’s Box sat waiting to be opened. Readers of this blog know that once a year despite my very best efforts not to mention the deliciously awful Eurovision Song Contest, an annual farce that is watched religiously by my good lady despite year after year I predict accurately the votes from each country for another to her absolute amazement and also nominate the winner based on their national economic well-being before a song has even been sung. However, so deliciously awful and predictable as it is, it is often scandal prone in some manner behind the scenes which forces me to comment. Ukraine it seems is particularly prone to such things having had heated national debates over Verka Serduchka, a very funny cross-dressing male represent them and subsequently had Ukrainians singing both for Ukraine and also for Russia, to name but a few. Is a cross-dressing male the right image for Ukraine at such an international event, should a Ukrainian be singing the Russian entry against the Ukrainian entry? All those issues of self-image on the international stage in what it has to be repeatedly said is a truly awful annual event. This year has already become issue-ridden. What could possibly be controversial about her? Well of course immediately the far-right Svoboda party are up in arms as she is not representative of Ukraine – She is not white! It doesn’t matter that she was born in Kyiv, has lived there all her life, is a Ukrainian citizen, or that her mother is a Ukrainian. It matters that she is not white and therefore not representative of Ukraine it seems. At least that is the opinion of Yuri Sirotyuk who happens to be highly placed within the Svoboda party. In fact he stated she would get “Nul points” because of the colour of her skin. Now I have repeatedly and robustly raised my concerns over the rise of the far-right across Europe and have specifically mentioned the poisonous Svoboda party (who happen to be signed up members of the United Democratic Opposition) regularly over the years this blog has been running. Use the blog search facility and see for yourself. It is not that I have a problem with the right to free speech. Mr Sirotyuk has the right to say what he wants, especially so as he is a regional MP and represents a region that is predominantly responsible for the entire 5% of the national vote Svoboda received at the last elections. I also do not have a problem with Svoboda praising Nazism and identifying themselves with it. They are at least honest enough to wear the label that others would give them rather than shy away from the word. He may well be representative of his voters in saying what he did and that is what he is there to do. It can hardly be classed as a “hate speech“ or be compared to the Nuremburg Rallies. He is entitled to state his opinions and breaks no Ukrainian or ECfHR rulings in doing so. As a Ukrainian MP he has immunity from prosecution anyway, so there would be no chance of even challenging him under Ukrainian discriminatory laws should somebody decide to try. However, given his comments relating to “nul points” due to her colour, I hope that she goes on to get a lot of points regardless of how good or bad she is. For Ukrainian economic reasons I hope she doesn’t win as the expense of putting on Eurovision compared to income from it would probably lead to a loss from the national budget, but the highest place ever for a Ukrainian would seem to be an adequate response to his comments. For this reason alone, this year I may join my good woman watching this farce and actually be willing good fortune to Ukraine and Gaitana in a purely reactionary motivation to such obnoxious comments. You may remember a few days ago that I told you that Yulia Tymoshenko had been nominated by her prodige Natalia Korolevska for the Nobel Peace prize. It is fair to say that I consider the Tymoshenko nomination rather shallow at this moment in time. Several years down the line after ignoring ECfHR rulings then maybe the nomination would have more traction with me. Anyway, the first nation I mentioned was Belarus and it has not taken very long for Ales Byalyatski from Belarus to indeed be nominated. Quite rightly too I will add. However Mr Byalyatski has not been nominated by his prodige or indeed anybody from within Belarus in some form of neurotic hero worship or internal profile awareness campaign (which can be tainted with allegations of pure propaganda by the actions of the nominating sponsor). His nomination comes from Prime Minister of Slovakia, Iveta Radicova, and already has the public support of Shirin Ebadi the prominent and well known Israeli human rights activist. In short, international nomination and international backing, very much as you would hope for an international and prestigious prize. It should also be noted that aside from Slovakian and Israeli support for his nomination, a number of prominent Ukrainians also support his nomination. You may take the view that Ukrainian support for his nomination is cynically given to undermine Ms Tymoshenko’s nomination, however, we should not forget there is little love lost between the current Ukrainian government and that of Belarus. Something that became evident in a very public and bitter war of words when Ukraine snubbed Belarus at the insistence of the EU at a meeting in Kyiv after it became clear that if President Lukashenko of Belarus attended, Jose Manuel Barroso of the EU would not. Given the particularly venomous public statements Lukashenko made about Ukraine, there is really nothing surprising about certain high profile Ukrainians taking the opportunity to support a Nobel Peace Prize nomination for a jailed human rights activist in Belarus. Political pay-back by Ukraine quite possibly, but from my point of view, pay-back that supports a very worthy candidate regardless of Ukrainian motivation. Quite unsurprisingly, with the EU, IMF and “the West” in general suffering from a bout of Ukraine fatigue not seen since the Yushenko/Tymoshenko years, and with Ukraine tied to a ruinous gas deal signed during those years, Russia with a Presidential election next month, is piling on the pressure and rhetoric at Kyiv. Back in July 2011 I wrote about trade disputes between Russia and Ukraine building up and amongst the many disputes currently on-going is a cheese war. Russia has currently banned all Ukrainian cheese and to be honest it is getting the same headline press in Ukraine as the current gas negotiations for which Russia is attempting to drive a very hard political bargain. Tymoshenko may well have signed Ukraine up to economic suicide when authorising the gas contract between Russia and Ukraine in 2009, but to get out of it, Yanukovych must now commit political suicide. The price for Ukraine to have gas prices the same as Russian users does not depend upon it surrendering the Ukrainian gas transport system to Gazprom any longer. The price is now signing up and being a full member of the Customs Union. To do that would put the long negotiated and soon to be initialed DCFTA with the EU in an exceptionally precarious position if not a completely unworkable position. Tied to the DCFTA is of course the political Association Agreement which regular readers will know I thought was not a particularly bright idea from the EU side, envisioning the exact scenario we now see unfolding over the geopolitical battle for Ukraine. Thus far Ukraine has refused to buckle to such pressure, however this week saw the upping of the Russian anti considerably. I predicted back in January 2010, that the Ukrainian GTS would become an empty and useless system (other than for domestic supply). Not that it was difficult to predict, anybody who takes an alternative view to Ms Tymoshenko over policy will usually turn out to be right. Two days ago, to turn up pressure on Ukraine further, Russia announced that the construction of the South Stream gas line will begin in December 2012 and that with it, plus the new working Nordstream plus the recently Gazprom acquired and fully owned Belorussian GTS, will mean that no EU gas will then be transited via Ukraine. The pressure on Kyiv will now be enormous, as that is likely to be the Russian position going forward for some time. It would be easy to say, just release Tymoshenko and the EU and IMF will come riding over the horizon to the rescue, however, the latest opinion polls not controlled by the government showed only 30% of Ukrainians believed her jailing was political. The vast majority according to that poll therefore think justice has indeed been done. The fact her jailing managed only 2000 protesters would seem to back that poll. Whilst the international audience may well be happy with her release, the domestic audience, and they are the people who vote, may not be as happy, to say nothing of a large number of MPs. The important question for the EU, Russia and Ukraine is now whether Kyiv will stay strong or if it will crumble. It is said in every crisis there is opportunity and this maybe an opportunity for Ukraine to show both Russia and the EU it will not be bullied by either, however the pressure is tangible! Thus far though, since that Russian announcement, Ukraine seems to be standing strong – thankfully – just the kind of crisis to force Ukraine look to opportunities to move on and become less reliant on Russian gas. Well after yesterday’s post relating to the sedate life of Odessa, it’s time to go ballistic. No, I mean seriously to go ballistic! The neighbourhood is going ballistic. The Black Sea neighbourhood that is. Immediately to the west of Odessa is the EU and the majority of the NATO membership. I can be in Romania in two or three hours by car. Immediately south is Turkey, another NATO member, which is no more than 9 hours away by yacht. Immediately to the east is of course Russia. 3 hours flying time to Moscow. Immediately north is basket case Belarus. It has long been planned for NATO to plonk radar and missile systems in the former Communist nations to provide a missile defence (allegedly) from Iran and….um….and….um……anyone else in North Africa and the Middle East. They would of course (ahem) never have any use against Russia. Quite obviously it can’t be done from Greece or Turkey because…….well because. Actually to be fair, Turkey would host NATO radar as long as Israel doesn’t get to share the knowledge or facility and the Europeans would probably be happy with that as the whole missile defence thing is supposed to be about protecting the continent of Europe and not the continent of Europe and a tiny blob in Asia as well. The US of course isn’t happy with that and would want to share information from facilities in Turkey with its ally which sits in the continent of Asia. End result US radar station now in Israel despite Israel’s long standing precedent of never relying on anybody else on their soil. Probably best that we don’t even go down this path for now and honestly it has little direct relevance to what I am going to say relating to Odessa and Ukraine and that ballistic neighbourhood. The net result, by design or default of the NATO plans is a $1 trillion upgrade for the Russian military over the next 20 years. Much of which is going towards offensive ballistic missiles (not nuclear I hasten to add). Probably fair enough when Russia has no shortage of what are globally considered state-of-the art missile defence systems such as the S300 etc. – Why not go offensive if your defence is good? Of course Europe is hardly defenceless with or without the US radar or missile shield. It does include the nations of France and the UK who both have the “ultimate deterrent” not to mention numerous nations with ballistic missile capability, even if not inter-continental ballistic missles. The difference? Simply the distance they can travel. 5000+ kilometers = ICBM, anything less are simply ballistic missiles. Anyway, that accounts for ballistic missile proliferation West and East of Ukraine. Now lets look immediately south to Turkey. Indeed, unsurprisingly, Turkey despite being an already very significant military force in the Black Sea neighbourhood and in North Africa is also going ballistic. 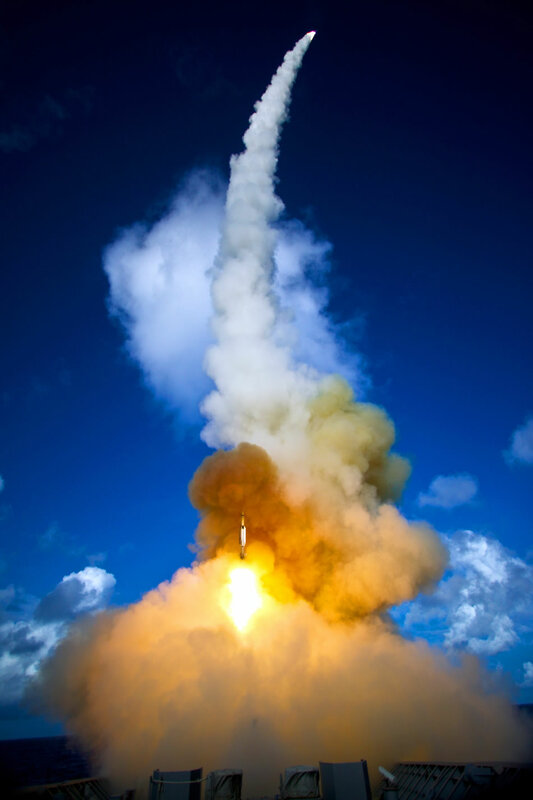 By 2014 will have doubled the distance it’s ballistic missiles can cover from 1,300 kilometers to 2,500 kilometers. You would probably say, so what? If I lived so close to Iran I would do the same. After all the distance may only be 1267 kilometers between Istanbul and Tehran but a ballistic capability of 1500 kilometers will not cover the entire geographical area that is Iran. You would have a point, until you then realise that 2,500 kilometers would cover the cities of Athens, Amman, Amsterdam, Barcelona, Berlin, Beirut, Brussels, Geneva, Algiers, Jeddah, Cairo, Copenhagen, Kyiv, London, Milan, Moscow, Paris, Rome, Stockholm, Damascus, Tehran, Tel Aviv, Tripoli, Warsaw, Vienna, and Zurich, just to name a few. How terribly fortunate Turkey is a NATO member and most of those cities need not fear its ballistic wrath. Certainly Kyiv, Geneva and Zurich being non-aligned, reasonably sane and non-interventionist should have little to worry about from either Russian, European or Turkish ballistic capabilities regardless of whether Turkey remained in NATO or not, Russia increases its ballistic capabilities or not, or indeed if the entire NATO structure collapsed in the future. The problem with that picture is that there is no guarantee NATO will see another 50 years. There is also no guarantee that Turkey will remain in NATO even if it did. There is quite a lot of noise stating Turkey is not that enamored with NATO and it certainly isn’t overwhelmed by EU love and affection, whose members make up the majority of NATO nations. There is an internal movement advocating Turkey go it alone and in my region there are few who can get close to matching it. That could put a very different light on Turkish ballistic capabilities as well as any NATO shield and Russian moves to enhance its offensive capabilities. I am used to standing on my balcony on a warm summers night overlooking the Black Sea and seeing fireworks to my left as the famous Arcadia summer nightlife gets into full flow here in Odessa. I am not so accustomed to peering at the horizon towards Turkey for a pyrotechnic display. Anyway, no matter how you move the chess pieces, and even if you don’t, there is no doubt that my neighbourhood is going ballistic – quite literally! You are currently browsing the Odessablog's Blog blog archives for February, 2012.